WASHINGTON – Lawmakers accused Department of Veterans Affairs officials Wednesday of trying to “whitewash” the causes of death for veterans who were waiting for treatment at a VA facility in Phoenix. An inspector general’s report released last month noted the “poor quality of care” at the Phoenix facility, but went on to say it was “unable to conclusively assert that the absence of timely quality care caused the deaths” of 40 veterans. Under rigorous questioning by members of the House Committee on Veterans Affairs, however, some department officials backed off that claim and conceded that long wait-times may have “contributed” to the 40 deaths in Phoenix. “We can play with semantics all we want, but right here at the table it was acknowledged by the IG’s office that the wait-lists contributed to the deaths of veterans,” said Rep. David Jolly, R-Fla.
Dr. Samuel Foote, the retired VA physician who first brought problems at the Phoenix facility to light, was having none of it. 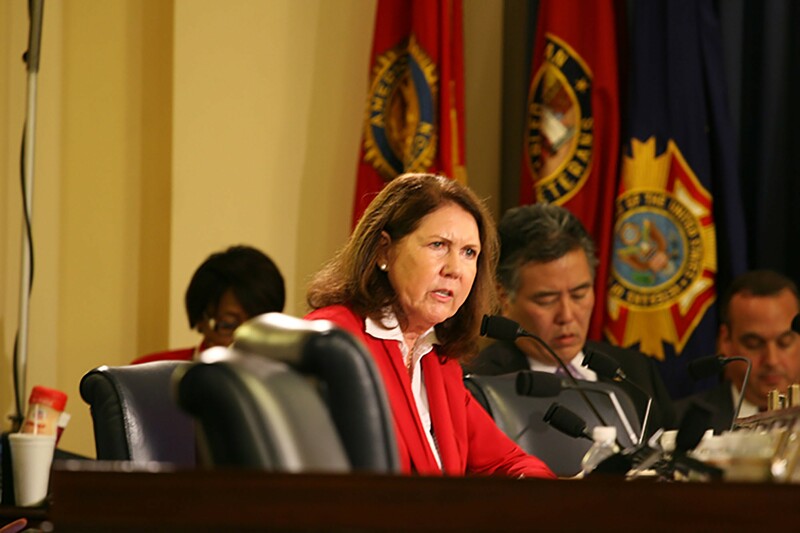 Foote first alerted the committee in January that workers at the VA in Phoenix were manipulating patient-scheduling records to make it appear as if veterans were getting medical care sooner than they actually got treatment. Faster wait-times were counted in employee performance reviews and, in some cases, led to bonuses. Problems uncovered at the Phoenix facility ultimately led to a department-wide audit that found similar problems at facilities nationwide and led to the resignation this summer of former VA Secretary Eric Shinseki. But Wednesday’s hearing was focused specifically on the audit scheduling manipulation in Phoenix, and on one sentence in particular – the claim that the inspector general was “unable to conclusively assert” the schedule problems resulted in vets’ deaths. The report was also criticized because it did not include people on the New Enrollee Appointment Request (NEAR) list of veterans who have been scheduled for medical attention, but have not yet had an appointment. Since those on the NEAR list had no medical records, they could not be included in the report, said John Daigh, assistant inspector general for healthcare inspections for the VA. The determination of death came from “medical records and records of hospitals,” Daigh said. 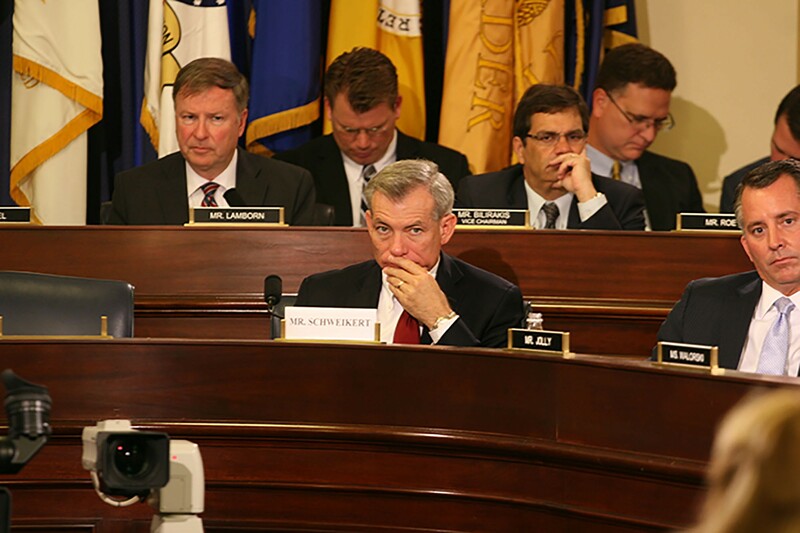 That brought a sharp response from Rep. Jeff Miller, R-Fla., who noted that NEAR-list veterans did not have medical records because they were on a wait list – and should have been included in any report about long wait times. “Nobody in this room has any faith in the VA’s ability to schedule appointments,” Miller said. Absent from the hearing was Sharon Helman, the director of the Phoenix VA Health Care System, who was placed on leave while problems at the system are being investigated. “Sharon Helman was also invited to appear. We reached out to her attorney, but we never received a response,” said Miller, the chairman of the committee. 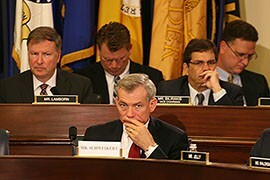 Department of Veterans Affairs officials faced tough questioning by lawmakers from both sides of the aisle in a four-hour House committee hearing. Cronkite News reporter Stephen Hicks is at VA headquarters in Washington with the story. Acting VA Inspector General Richard Griffin, right, and John Daigh, the assistant inspector general for the healthcare inspections, faced hours of grilling by a House committee. 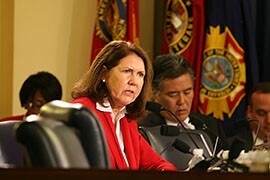 Rep. Ann Kirkpatrick, D-Flagstaff, asked several questions of Department of Veterans Affairs auditors during the hearing on deaths at VA health facilities in Phoenix. 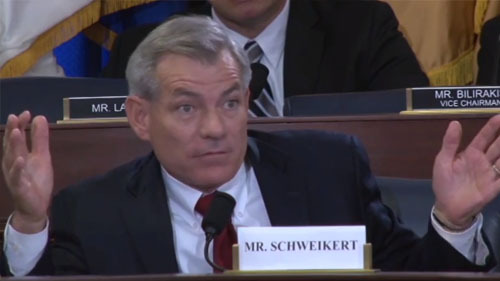 A skeptical Rep. David Schweikert, R-Fountain Hills, joined the House Veterans Affairs Committee hearingon long wait-times at the VA in Phoenix.